Имате въпрос към Red Planet Makassar? Red Planet Makassar е перфектен избор за пътуващи, които желаят да почувстват духа на Макасар. Разположен на 1.2 km от най-вълнуващите части на града, този 3-звезден хотел притежава отлично местоположение и осигурява лесен достъп до най-големите забележителности. С удобното си местоположение хотелът предлага лесен достъп до всички градски забележителности, които задължително трябва да се видят. 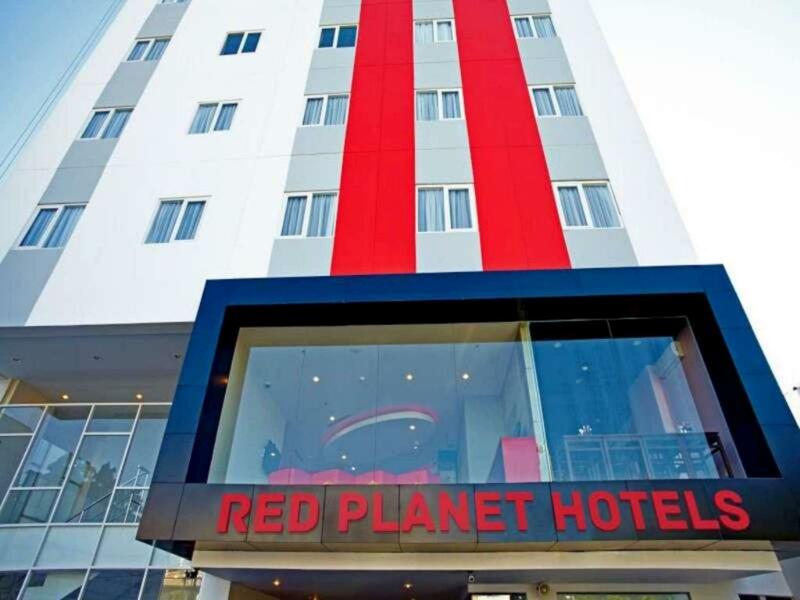 Red Planet Makassar предлага безупречно обслужване и необходимите удобства, за да удовлетвори гостите си. Гостите на хотела могат да ползват съоръжения като безплатен WiFi достъп във всички стаи, 24-часова охрана, ежедневно почистване, 24-часова рецепция, съоръжения за инвалиди. Влизайки в една от 144 уютни стаи, ще забравите за ежедневния стрес с помощта на удобства и съоръжения като телевизор с плосък екран, огледало, детектор за дим, безжичен интернет достъп (безплатен), стаи за непушачи в някои от тях. Освен това в хотела можете да се възползвате от множество предложения за приятно прекарване на свободното време. Каквато и да е причината за Вашето посещение в Макасар, Red Planet Makassar е идеалното място за една вълнуваща почивка далеч от всичко. Had a very good nite sleep. It has all the bare necessities which are clean; an excellent place to park our tired bodies as we have been travelling all over South Sulawesi. Great place if you are looking for a nite'a rest before continuing your journey the next morning. It's an excellent budget hotel especially for backpackers. Will not hesitate to return. It will be great if Tune can set up hotels in smaller tourism cities all over Indonesia for travellers who enjoy exploring exotic quaint destination in Indonesia. Staff was very helpful. They even rented me their motorbike. Good price. Clean room. Nice room, very clean, great shower! We loved our stay at tune, we are backpacking on a 12 month trip, scored a room at a bargain price and it was absolute luxury for us! Very comfortable, clean, new room. Yes small but not an issue for us. Aircon worked great. Would definitely stay again at tune. Receptionists was very helpful & prompt. Room was tidy but no windows so feels like jail. What I do not like in this room that little fly insect around the bathroom. if you are a traveler, you should not worry because public transportations are ready for you to choose. To be considered, the tv channel is not completed with many movies. Really enjoyed it although brief. Only issue w2as getting a taxi to the airport in the morning, the guy who was linked to the hotel insisted on the upper end of the charge and tolls...but overall a very minor issue for a great place to stay. 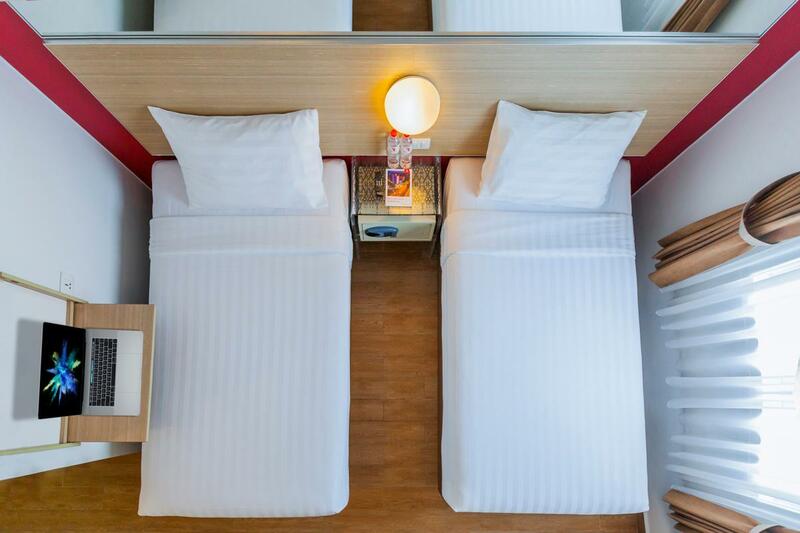 The good things with this hotel is location, its new and clean and its affordable. Though, the room is really tiny even by comparing to other budget hotels with modern simple design. If I had a full size suitcase I think I would have to open it up in the hallway of the hotel. But the thing that really ticked me off was the breakfast. I like my warm hotel breakfast that you usually get, though here despite the food being kept in heating trays, these were not turned on so the fried rice, the fried noodles were all served cold. There was no drink options for juice, even the cheap tasting juice you get at other affordable hotels was not here. overall i enjoyed my short stay at Tune Hotel Makassar, the staff very friendly , hotel room is clean and small ! so complicated for process check in, i arrived at Makassar in the morning at 9 o'clock, then i must waiting till 2 hour for check in with additional charges early check in Rp. 40.000 for check in at 11 am, normally for process check in is at 2 pm ( free of charges ), but i cant waiting too long..
the room are nice, well-equipped and clean. Unfortunately the window cannot be opened, which inevitably leads to musty smell. Check in time strictly 2pm (even if there seem to be available rooms... I guess it's just a policy to force some customer to pay the extra for early checkin?). Higher floors are still being built, so there is a lot of noise. Considering the affordable price, decent position and overall quality of rooms and facilities, I would heartily recommend this hotel. My stay at Tune Hotel Makassas was great. The staff hotel was friendly, I managed to get early check in and the process was fast. There was mall nearby, and it sufficient. The food was great as it was handled by Oey kopitiam. There were also KFC (24 hours), McDonalds (24 hours), and Pizza Hut nearby. The internet was blazingly fast. Definitely gonna stay here again on my next trip to Makassar. Walking distance to Ratu Indah Mall. Far from Losari Beach. Better stay near Losari Beach area for eating and sightseeing around the city. CHEAP !!! Stayed one night only. Next morning early to Terminal Daya to catch a Kijang to Rantepao. Value for money for sleeping in Makassar. Checked in 6.30pm and checked out at 6.30am. Stayed for 12 hours only. If you rent car,than it will be okay to stay here. If not, you need to take taxi or common transport call pete-pete which pass by the hotel as it's located in the main road. We choose this hotel since it's very cheap and new with good bed quality and tv cable and free wifi access it's really convenience. I choose this hotel because it's cheap and still new although the location is not in the central. But actually it's in the main road so it's still okay. The only thing I complain is the moist smelly pillow's sheet and we can hear the traffic. We stayed one night here while waiting for a flight up to Mando. For the price, this hotel was superb! The room was small but modern, clean and comfortable. The shower was hot and powerful. The bathroom smelt a bit of drains but for one night we didn't bother asking for a different room. The staff were great - didn't expect such a service for the price. They helped us strange local transport to the ocean front and booked us a reasonably priced car for the airport. The location is not perfect but with local transport it's easy to get around. The agoda price included towels, air con, wifi etc so there was nothing extra to pay! We will use Tune hotels again! Good quality sleep for a fantastic price!